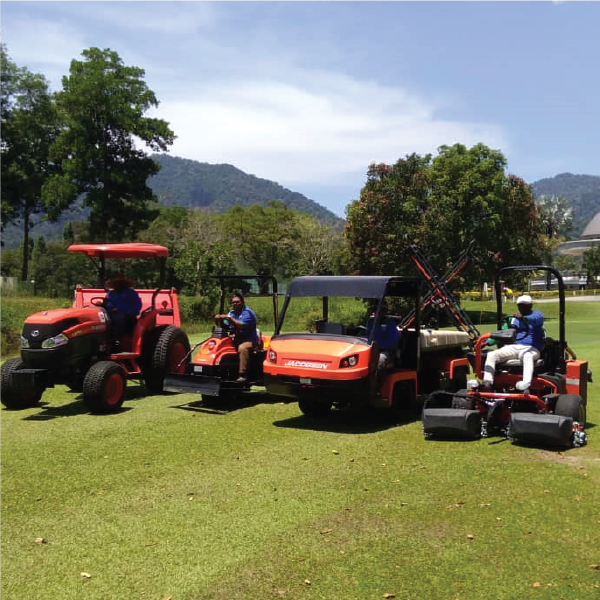 The management has recently invested on a fleet of new greenkeeping machines to maintain and improve the condition of the greens. New machines include a Ride on Triplex Greens mower, a Bunker Raker, a Greens Roller and a Walk-behind Greens mower. Likewise, drainage works to repair soggy areas throughout the course continues on Holes # 9, 17, 23, 24, and 25. To date over 1km of sub-soil drainage has been installed. Progress on the landscaping is being made at the halfway huts. Save on our best available room rates – just for members!